Occasionally, a tooth may need to be extracted, or “pulled,” if restoration procedures such as root canal therapy, crowns, or fillings are not enough to save it. Years ago, tooth extractions were one of the only methods for preventing the spread of dental decay and for relieving pain associated with tooth trauma of any kind. Today, extractions are not generally painful, and the recovery from them is relatively easy. Additionally, the prosthodontic options, such as implants, bridges and partials that are available today are far more sophisticated, life like and pain free than ever before. One of the most common kinds of extractions, not because of decay or trauma, is that of Wisdom Teeth. Wisdom teeth are the third and final set of molars that erupt in the back corners of the upper and lower arches. Most people experience problems from wisdom teeth. In many cases there is not enough room for these teeth to erupt fully and that can cause discomfort, inflammation of the gums and even infection. Sometimes the wisdom teeth can case crowding/shifting of the other existing teeth. 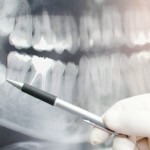 Rarely, but sometimes, a cyst can form around a third molar, which is detected on an xray. 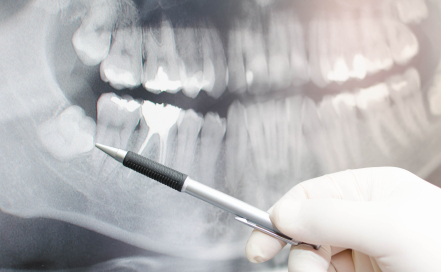 At our practice we assess the state of your wisdom teeth as part of your routine dental and oral care. Feel free to contact us to discuss your wisdom teeth if you have any questions or concerns.